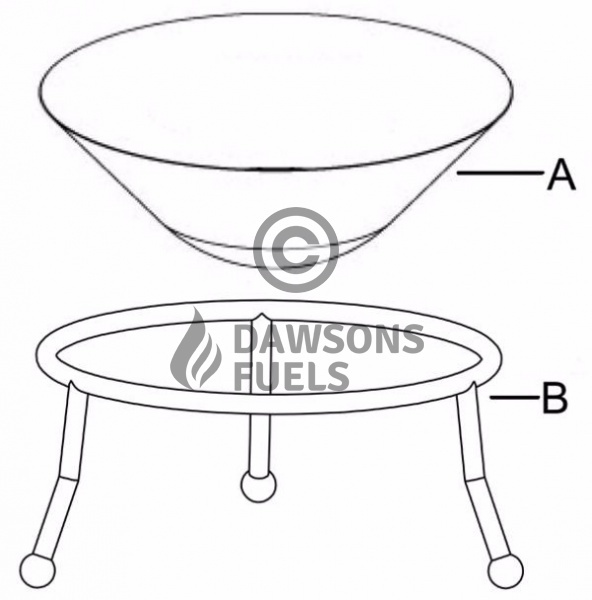 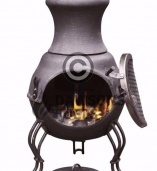 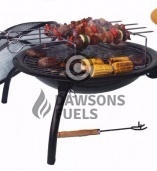 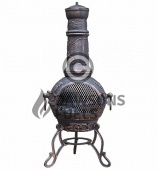 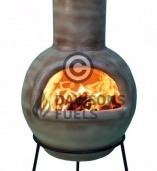 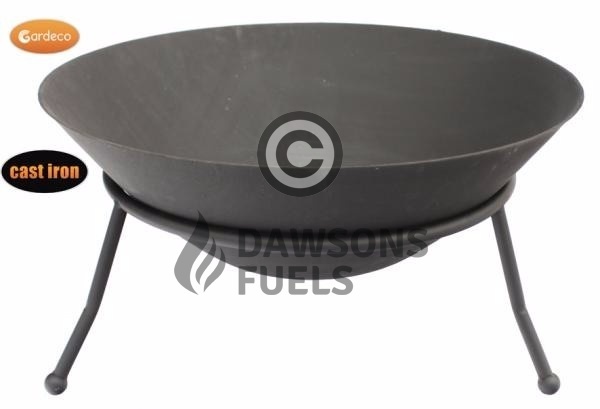 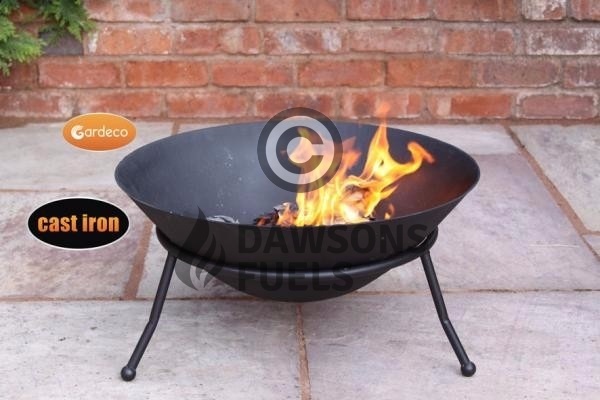 Medium cast iron fire pit with steel three-legged stand. 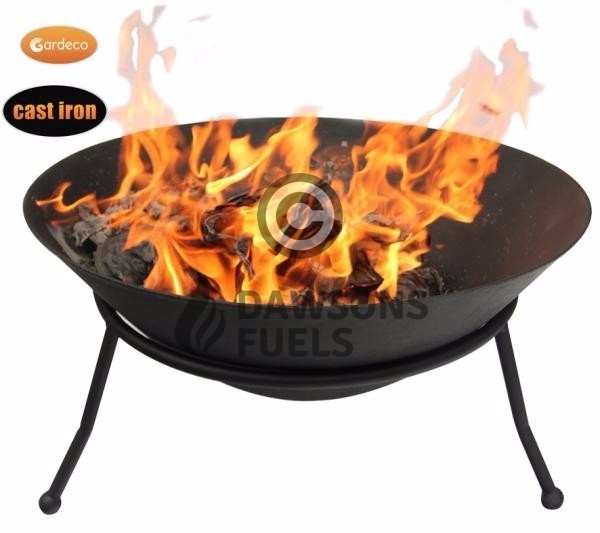  Made of cast iron, so strong and durable. 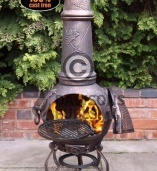 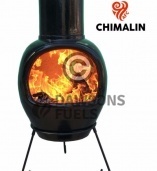 Ideal for frequent use and large fires.